We've had a really busy term! It has been great to see the children make so much progress and love being independent with their Rainbow Challenges. Our topic this term is 'Houses and Homes'. We will be looking at homes in the local area and comparing these to homes from the past. We will be reading maps and looking at different materials used in houses and to build houses. We are still running the reading challenge to win 'Orlando the Owl'. Please read with your child at least 5 times a week. It is so important for your child to become a fluent and confident reader. Don't forget to write in the reading record to say you have read. Seal class haven't won Orlando yet and we really want to have the precious owl in our class this year! Please practise reading and spelling these words with your child. Can they put these words into a sentence? Fun phonics - teach your monsters to read! 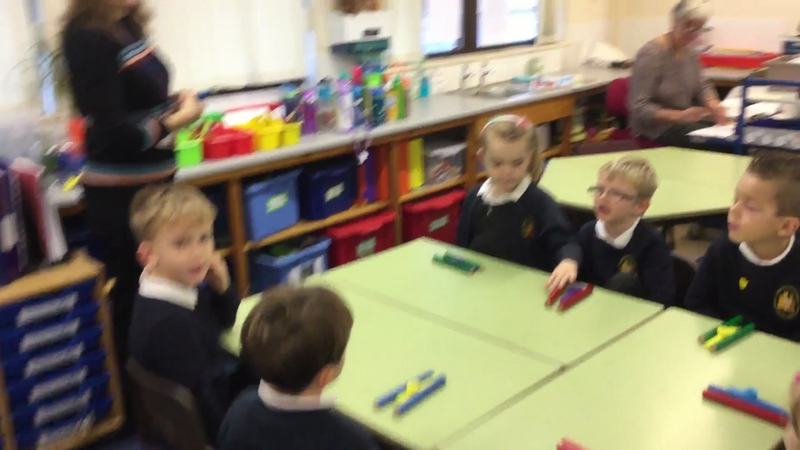 Seal class have been working on using claves and egg shakes to tap a beat and kazoos to create a tuned accompaniment to a song. Den building - at the end of last half term, the children enjoyed making creative dens. In their groups, Seal class created a vets, a garage, a home corner, a theatre and an art gallery. Despite the facial expressions in some of the photos, the class had a wonderful time! Maths Workshop - photos from Day 2 to follow. It was lovely to see so many children taking part and showing their adults what they have achieved so far this year.